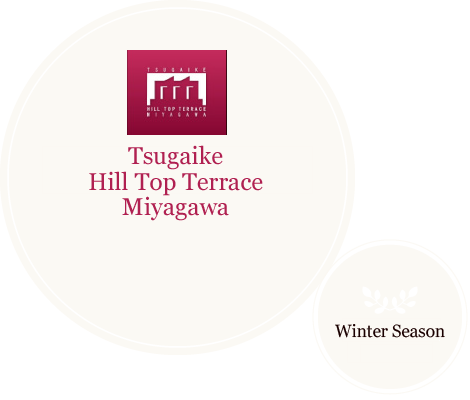 Direct Access to Tsugaike Kogen Ski Resort! Fluffy Powdery Snow is Here! The road from Tsugaike Kogen to JR Minami Otari Sta. through Sengoku is called "Sengoku Course", giving the flavor of that time. There are also other courses that have a long history, such as "Tenjindo Course" that starts from JR Hiraiwa Sta. and "Jizo-toge Course" that is a pass over the mountain with beautiful views of Northern Alps and Himekawa River. 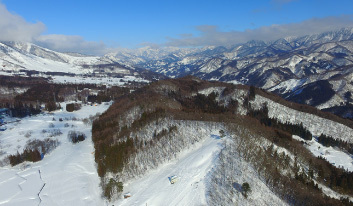 "Oami-toge Course" is a course with many ups and downs but rich variety, leading to Niigata Pref. 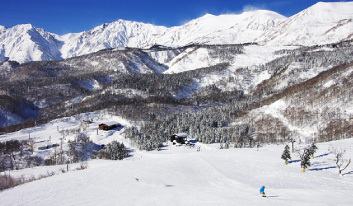 Tsugaike Kogen Ski Resort has the big difference in elevation, 800 meters high and long various slopes. Beginners, experts, families and anyone can enjoy skiing/snowboarding here to the full. 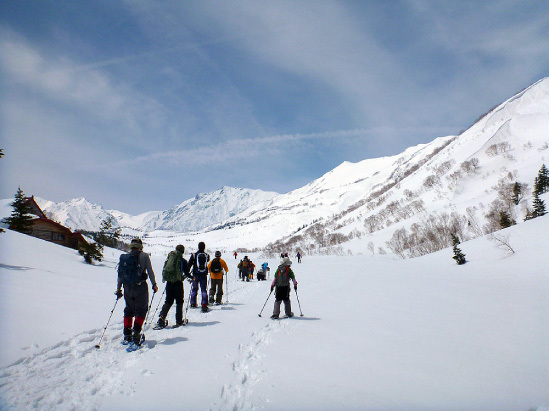 Tsugaike Ski School offers various types of lessons, such as "One Day Lesson", "Private Lesson" and "Children Lesson". 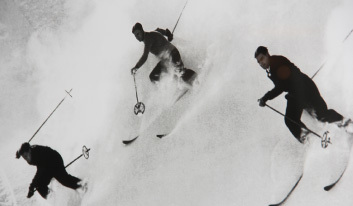 You can choose lessons at your ski revel.